Happy New Year, Everyone! I am back from my long holidays in Australia. I am as brown as a berry (although the berries I am used to are blue and red, not brown) and our helper says I have fattened up. Before you start worrying that I am having a hard time in 2014, let me tell you why it is a rocky start to my year. I am very very jealous. 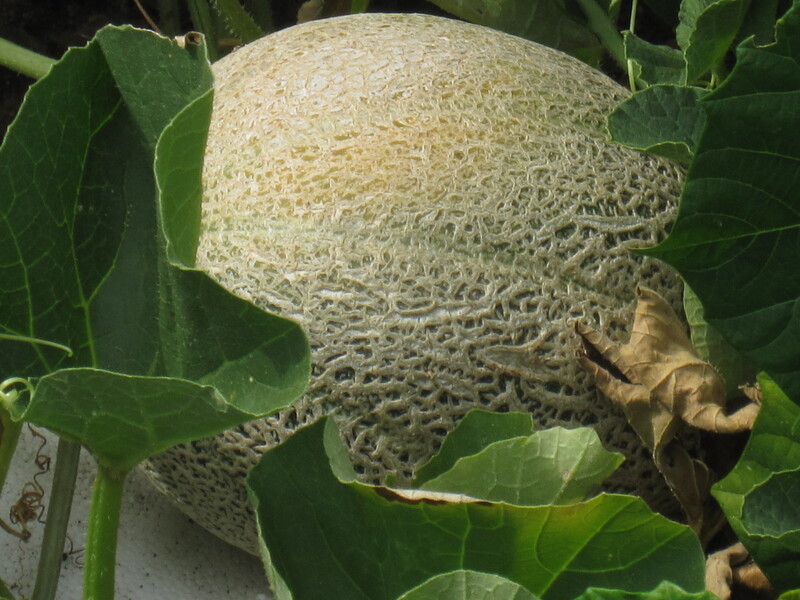 Look what Grandpa has in his garden which he DID NOT EVEN PLANT. Grandma dropped some compost material accidentally in his bangkwang patch and look what came up? 6 of them. All HUGE. 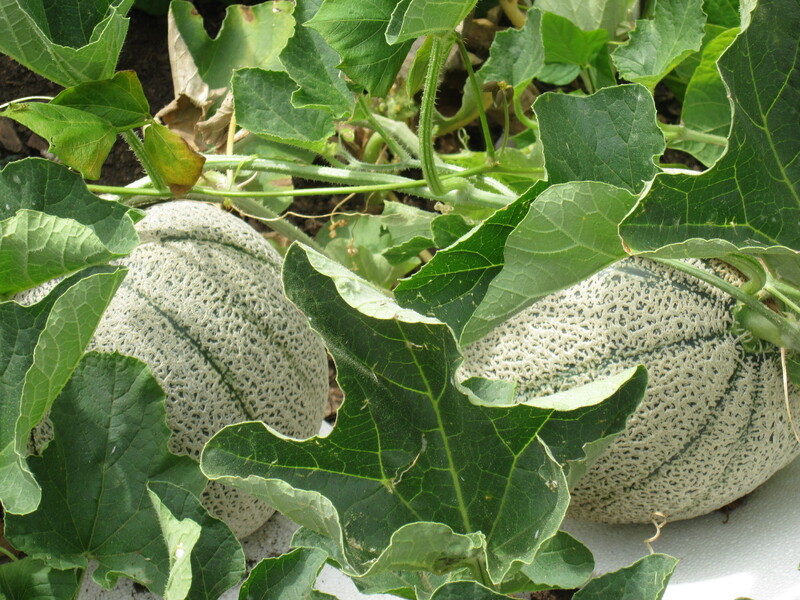 Do you know why these melons are called rockmelons? Not because they are as hard and heavy as rocks. Because they come from Rockhampton in North Queensland.